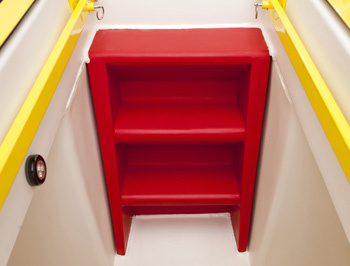 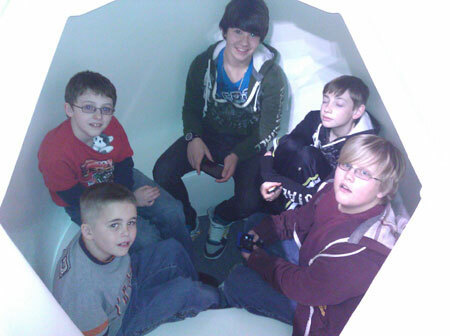 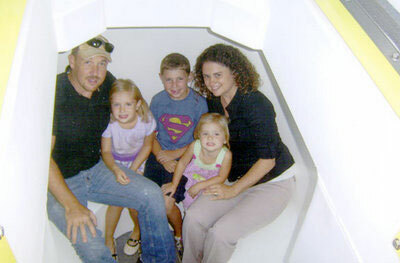 The Granger ISS Tornado Shelter is rotationally molded polyethylene, one of the longest lasting materials on the planet. 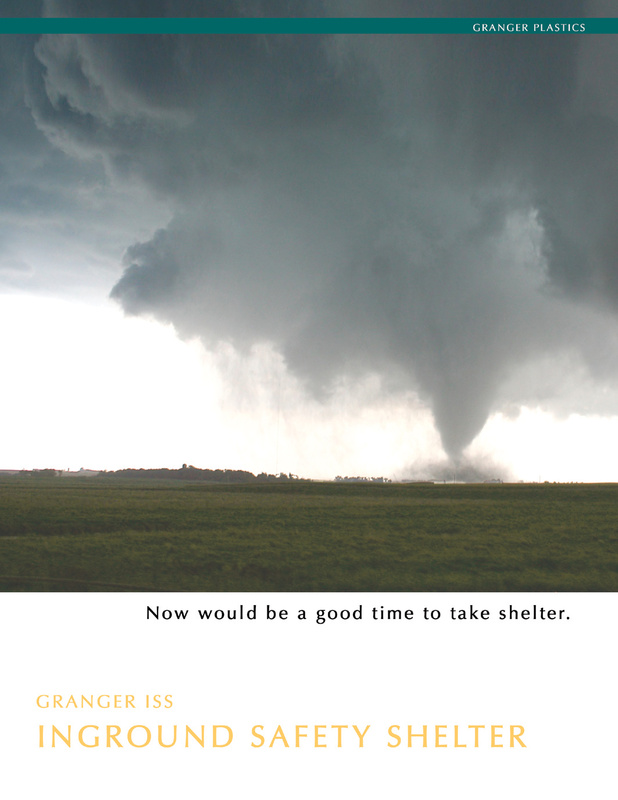 The Granger ISS has a lifespan far exceeding any other shelter available including fiberglass, steel and concrete units. 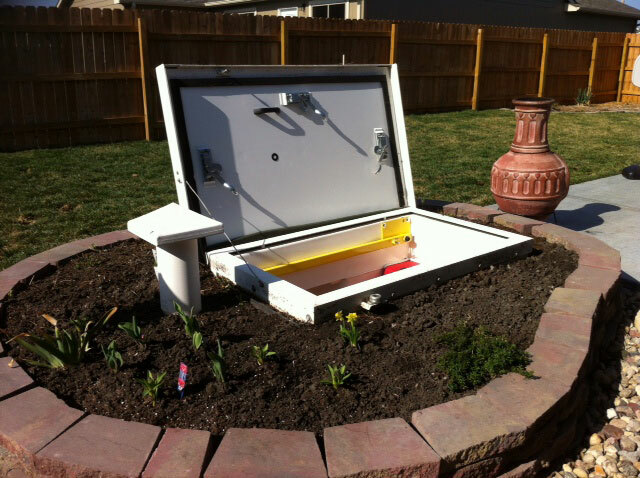 Longer lifespan means more return on your shelter investment. 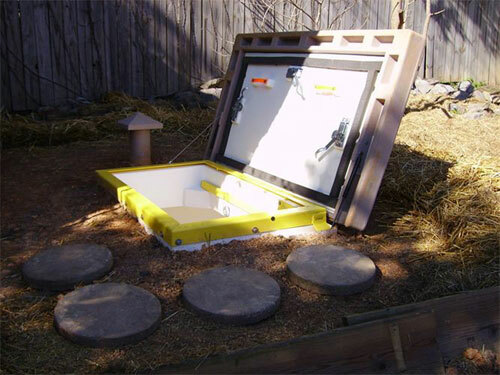 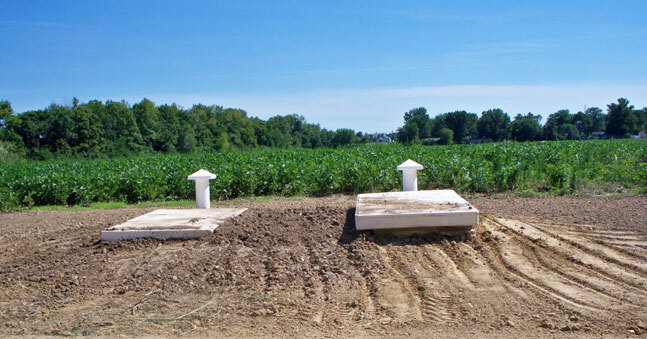 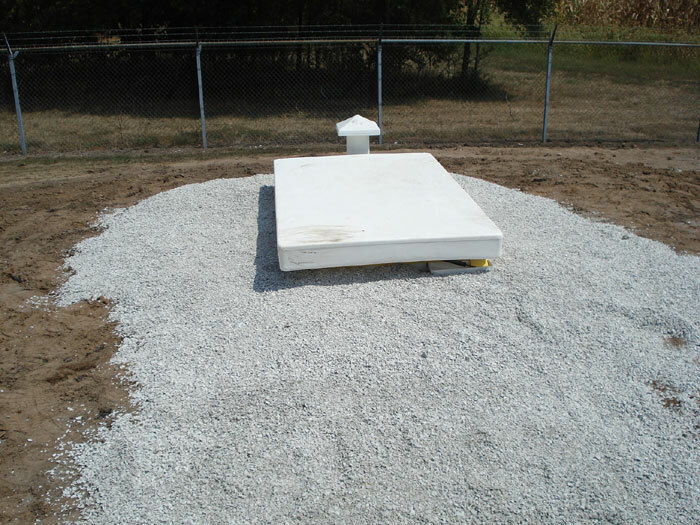 The innovative, patented reverse taper design of the Granger In-ground Safety Shelter allows for installation without an additional anchoring system. 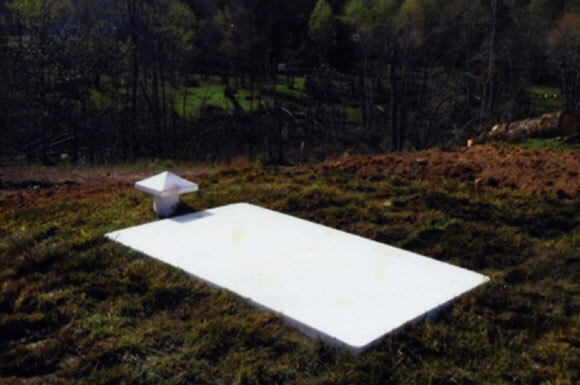 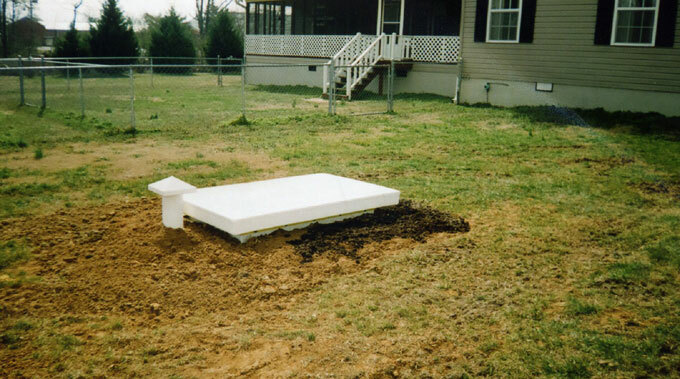 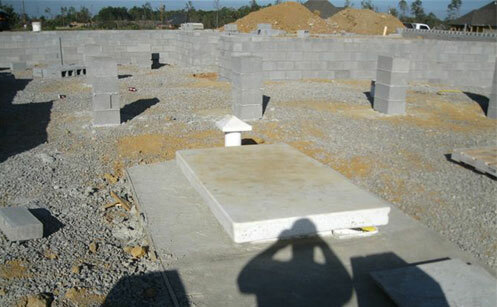 This unique feature means your shelter installation will be complete in an average of 4 hours or less. 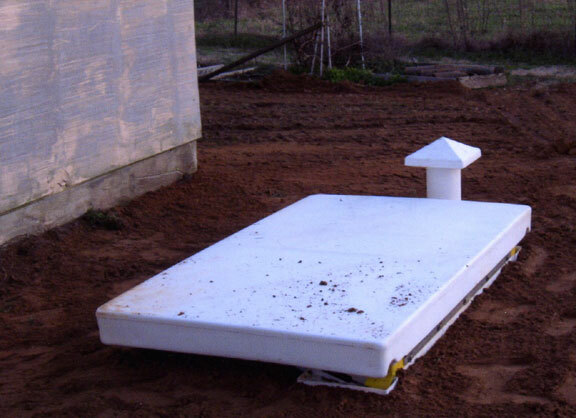 No expensive and messy concrete or large equipment necessary. 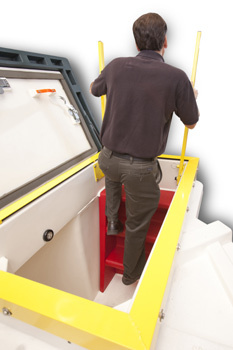 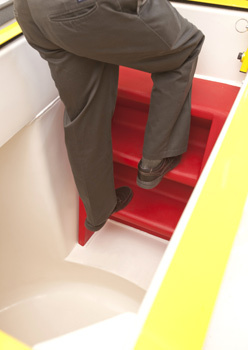 Features include double gas assisted shock for easy opening and closing of the door, articulating handrails for safer entry and exit, LED lighting system, triple locking door, molded in seating, carpet, foam filled walls for reduced condensation and increased comfort, and custom color door to minimize the look of the unit. 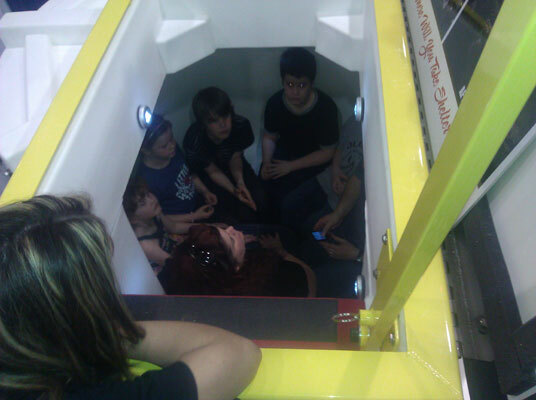 The Granger ISS exceeds FEMA standards for 6 adults. 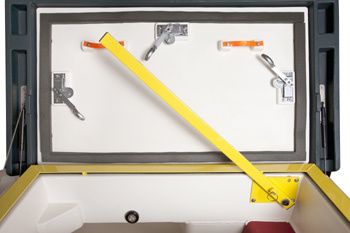 The door of the ISS exceeds both FEMA 320 and FEMA 361 testing at Texas Tech wind labs. 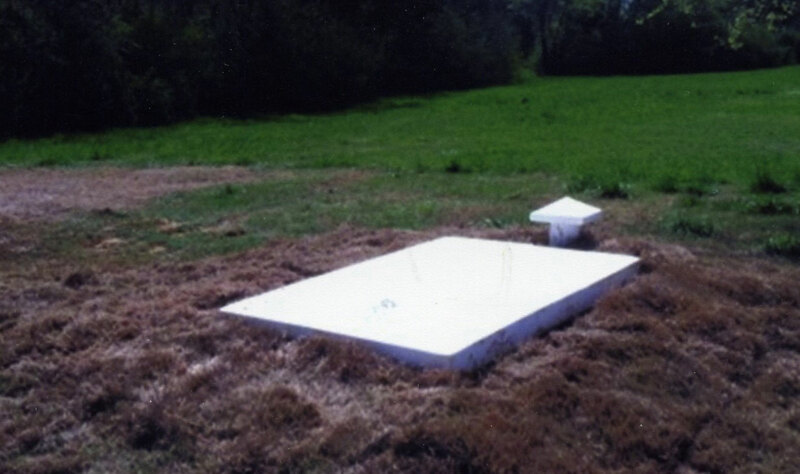 This FEMA requirement ensures this shelter can withstand debris impact at 250 miles per hour or an F5 tornado. 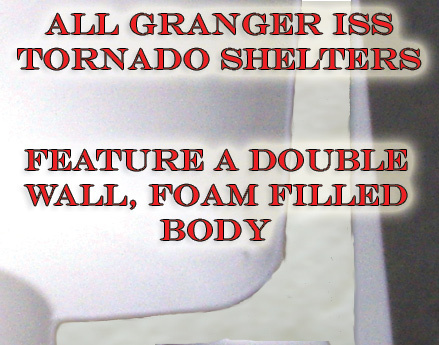 The material of the Granger ISS is guaranteed not to crack, leak, rot, rust or deteriorate in any way throughout the life of the original owner. 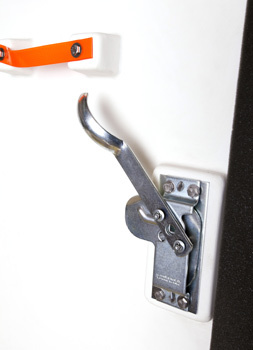 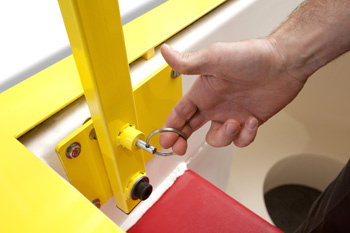 The door of the ISS also has a separate warranty ensuring that if damaged in a tornado can be replaced by the manufacturer further extending the life of this unit. 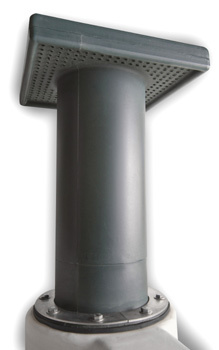 Currently looking for Iowa dealers! 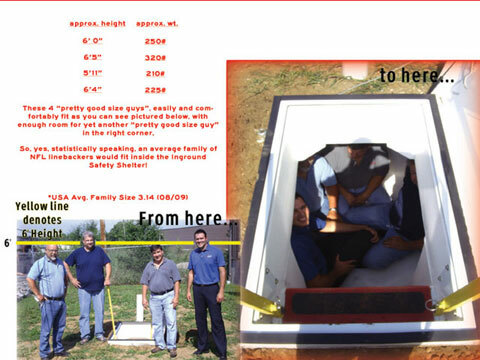 Join the fastest growing Tornado Shelter Network today! 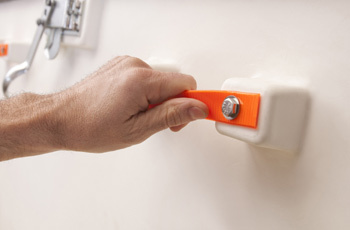 Rotationally molded items require a mold or a tool to produce. 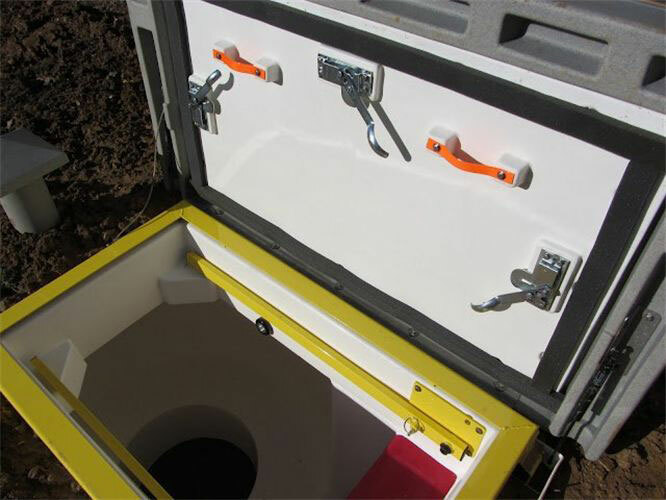 While prototypes can be easily mapped out using a variety of processes, production projects must have tooling designed and produced to materialize. 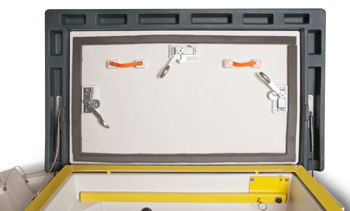 Tooling varies greatly in cost and time to produce before manufacturing can begin. 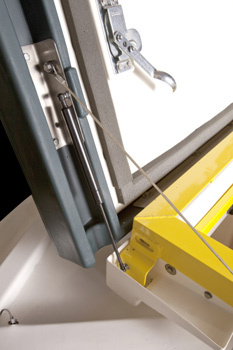 Contact Granger Plastics for a complete quote including tooling costs. 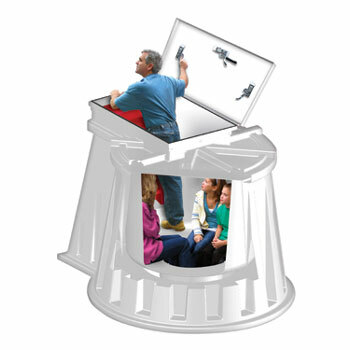 Design for rotational molding requires knowledge of the process and its many variables. 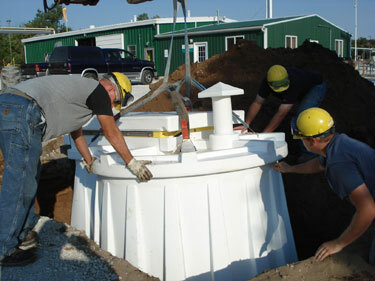 The nature of this application requires certain design elements to be implemented in order to produce the most reliable parts. 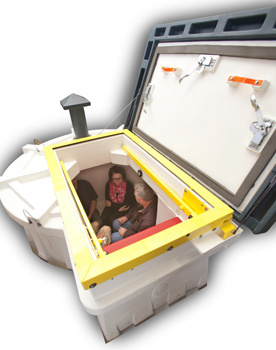 Granger Plastics Company leads the industry in groundbreaking innovation in rotomolding design.